Breed recognition is a significant landmark for a breed, in that it will become officially recognized by the world's largest performance dog registry. Full recognition entitles a breed to all the benefits of UKC, including, but not limited to, registration and participation in conformation and performance events licensed by the United Kennel Club. Therefore, the United Kennel Club prepared the following Breed Recognition Policies, all of which must be completed in order for a breed to be considered for recognition. Submission of this does not guarantee acceptance. The United Kennel Club does not consider a variation of an existing breed, or a result of a combination of two existing breeds, to be a new and unique breed. This includes, but is not limited to, differences in color, coat type, size or any disqualifications that may exist in the UKC Breed Standard for an existing breed. UKC reserves the right to refuse, correct or revoke any registration at any time. once the following information has been submitted, in total, to UKC. The organized, written proposal must include the following. A one-time, non-refundable, recognition processing fee of $150 (in U.S. Funds). A Letter of Intent, which must include all of the following. A. The breed's official name. B. Is the breed known by any other name(s)? If so, list them, and provide an explanation. C. All registries that currently recognize this breed. The breed's country of origin. Any breeds originally used to develop this breed. Past and current functions/uses of this breed. Citations and references to substantiate the breed history submitted. Identify which of the eight UKC Breed Groups this breed would qualify for, and discuss how this breed is unique from other breeds already recognized in this Group. A. The official name of the organization/association/club submitting the proposal (to include any regularly used acronyms). B. Supply a brief history of the organization/association, including a timeline noting important milestones. C. The name, office held, and contact information for all current officers. Indicate who will be acting as the contact/liaison for the breed recognition process. D. A current membership list. E. How long has this association been in existence? F. Are there any other breed organizations/associations for this breed in the United States? If yes, list them and include their date(s) of establishment. G. Does this association license/hold events (to include conformation and/or performance)? If yes, please specify events and include average participation/entry numbers. H. Include a current copy of the constitution and by-laws. I. List the purpose and goals of said breed organization/association submitting this proposal. 3. Information for an Individual submitting this proposal. D. Do you currently own any dogs of this breed? If yes, how many? E. What other breeds do you own? How many of each? 4. General Information to be provided by both an Individual and a Breed Organization/Association submitting this proposal. A. What is the reason for seeking UKC recognition? B. Supply all current breed standards for this breed. 1) include a synopsis of all differences in these breed standards. At the point that a breed recognition proposal is accepted, the UKC Breed Standard Committee will write the official UKC breed standard, which will be prepared in the best interests of the breed. All photos, drawings and/or illustrations submitted for inclusion in the UKC official breed standard must be free of all copyrights, trademarks, and encumbrances, and if included in the breed standard will become the property of the United Kennel Club. C. Include photographs of the breed, to include: adults, puppies, males, females, types, and acceptable colors and markings. D. Include the approximate number of dogs in the U.S., and include their geographic locations. E. Include the approximate number of dogs in other countries. F. Include a list of any health concerns with this breed, and any hereditary problems. G. Does this organization/individual maintain a registry/pedigree database? If yes, how many generations? What format is it stored in? Would you consider turning it over to UKC? Provide any additional comments or issues the UKC Breed Recognition Committee should consider when examining your Letter of Intent and the validity of your plan. Please note, incomplete applications may result in processing delays. Upon receipt of this information, the UKC Breed Recognition Committee will review it thoroughly. Please allow two to six months for the evaluation and any decisions. Download the Breed Recognition Requirements (PDF). 1. The official request for breed recognition and supporting documentation must first be submitted to UKC to be considered for UKC breed recognition. Please refer to the Requirements for UKC Breed Recognition page. 2. The official request for breed recognition and supporting documentation must be presented in a neat, organized manner and follow the outline of the Requirements for UKC Breed Recognition. 4. Regardless of the decision made by the Breed Recognition Committee, written notification will be sent to the breed club/individual/contact person informing them of the decision made by the Breed Recognition Committee. 5. If the breed recognition request is approved, the next step is to work on an official UKC Breed Standard. UKC reserves the right to make any changes deemed fit. All photos and material submitted for use by UKC to create the UKC Breed Standard become the property of UKC, will not be returned and may be used for promotional purposes and/or in the breed standard. UKC will then present the final standard to the breed club/individual/contact person. Note 1: If the standard is accepted by the breed club/individual/contact person, the standard becomes the official UKC Breed Standard; UKC reserves all rights. Note 2: If the standard is amended by or rejected by the breed club/individual/contact person, UKC will review said changes. Any and all changes will be made/accepted at the discretion of the UKC Breed Standard Committee. 6. If the breed recognition request is approved, the breed club/individual/contact person will be expected to provide UKC with a database of dogs to register within a specified time frame. Dogs registered initially will receive a discounted registration rate of $10.00 per dog. b. The database must be in birthdate order with the oldest dog being listed first. This will ensure that the dogs pedigrees are as complete as possible. The database should be submitted in both electronic format and hard copy. Please contact UKC for details on submitting databases electronically. 7. Once the database is received by UKC it will be reviewed by the Registration Coordinator. A contact person should be indicated for questions regarding the data. 8. If the data submitted are complete and ready for registration an official UKC Breed Recognition date will be determined. 9. A News Release will be issued. 10. 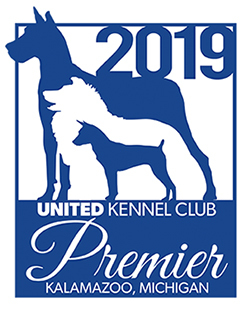 The dogs submitted to UKC in the database will be UKC registered, and the UKC Registration Certificate, Three Generation Pedigree and Easy Entry Card will be mailed to the owners as indicated within the database. UKC is not responsible for undeliverable mail due to incomplete or inaccurate mailing addresses provided by the registrar/club/individual/contact person. 11. Dogs not submitted with the initial database for registration must follow the normal single registration procedures and requirements set forth at the time of breed recognition. Please refer to www.ukcdogs.com for breed-specific single registration requirements and current fees. 12. UKC reserves the right to change any and all rules, fees, etc. without notice. 13. UKC reserves the right to refuse, correct or revoke any registration at any time. Download the Breed Recognition Procedures (PDF).